Please click here to contact Satch by email. You must enable JavaSscript in your browser to access my email address. 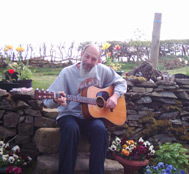 Satch lives and works in an old stone house, high in the hills in the peace and quietude of the beautiful mid-Wales countryside, surrounded by open fields and trees. 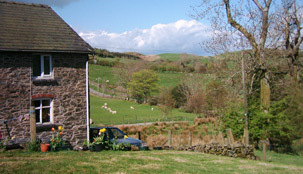 There are many local pubs and bed and breakfast facilities nearby, as well as connections to the rest of the UK via British Rail. The house and studio both use clean green electricity provided by GoodEnergy Ltd. Water comes from a nearby spring, driven by gravity. Cabled broadband internet access is available, mobile phone reception is at best patchy!